Martin J Lohse’s research focuses on the role of receptors in heart failure and on the mechanisms of their activation and inactivation. He pioneered the use of optical techniques to determine where, and how fast, receptors become activated by hormones and neurotransmitters. He also discovered that beta-1 adrenergic receptors and their regulatory G protein-coupled receptor kinases are dysregulated in heart failure. These data contributed to the use of beta-blockers in heart failure patients. Martin Lohse studied Medicine and Philosophy at the Universities Göttingen, London and Paris. He earned his PhD in Neurobiology at the Max Planck Institute for Biophysical Chemistry in Göttingen. His career then took him to Bonn, Heidelberg, Duke University in Durham (USA) and the Gene Center of the Ludwig-Maximilians-Universität München and the Max Planck Institute for Biochemistry Martinsried (Munich). In 1993 he became a Professor and Director of the Institute for Pharmacology and Toxicology at the Universität Würzburg. From 2009 to 2015, he was Vice President for Research at the Universität Würzburg. Between 2003 and 2008, Martin Lohse was a member of the German Ethics Council. He has founded three biotechnology companies and was the Founding Speaker of the Rudolf Wirchow Center, the DFG research center for Experimental Biomedicine of the Universität Würzburg. In 2003, he became the Founding Director of the Graduate School of the Universität Würzburg. Dr Lohse is a member of the Bavarian Academy of Sciences, Vice President of the Leopoldina National Academy of Sciences and has been awarded the Leibniz Award, the Ernst Jung Award for Medicine, the Research Achievement Award of the International Society of Heart Research, and is a recipient of two prestigious grants from the European Research Council. Since April 1 2016, Professor Martin Lohse has been Chair of the Board of Directors and Scientific Director of the Max Delbrück Center for Molecular Medicine in the Helmholtz Association. Professor Lohse is also a member of the Board of Directors of the Berlin Institute of Health (BIH). Martin Lohse studied Medicine and Philosophy at the Universities Göttingen, London and Paris. He performed his PhD studies in Neurobiology at the Max Planck Institute for Biophysical Chemistry in Göttingen. Further stages in his career took him to Bonn, Heidelberg, Duke University in Durham (USA) and the Gene Center of the Ludwig-Maximilians-Universität München and the Max Planck Institute for Biochemistry Martinsried (Munich). In 1993 he became a Professor and Director of the Institute for Pharmacology and Toxicology at the Universität Würzburg. His research focuses on the mechanisms of cellular signaling and drug effect on receptors. He has received multiple awards for his scientific achievements, among them the Leibniz Prize of the German Research Foundation (DFG) and the Ernst Jung Prize for Medicine, as well as two prestigious grants by the European Research Council. 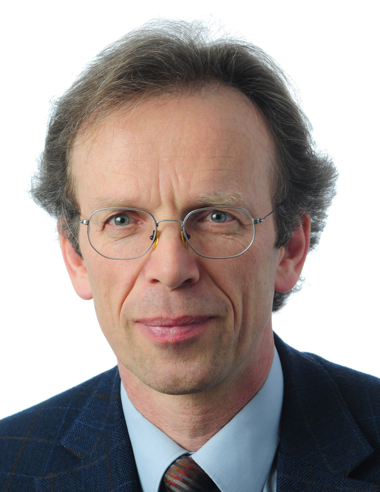 Professor Lohse is Vice President of the German National Academy of Sciences Leopoldina. From 2009 to 2015, he was Vice President for Research at the Universität Würzburg. Between 2003 and 2008, Martin Lohse was a member of the German Ethics Council. He has founded three biotechnology companies and was the Founding Speaker of the Rudolf Wirchow Center, the DFG research center for Experimental Biomedicine of the Universität Würzburg. In 2003, he became the Founding Director of the Graduate School of the Universität Würzburg.